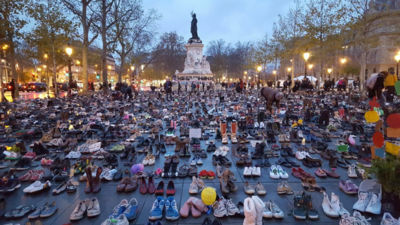 The Peoples Climate Marches were held during November 2015 across the world just before the Paris Climate Change Conference 2015 COP21‎ started. There were 2300+ events in 175+ countries involving 785,000+ people. 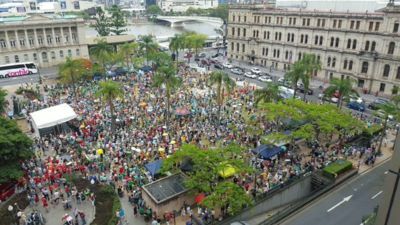 More than 150,000 Australians sent an unambiguous message to politicians and to Paris: do a lot more on climate change, and do it urgently. 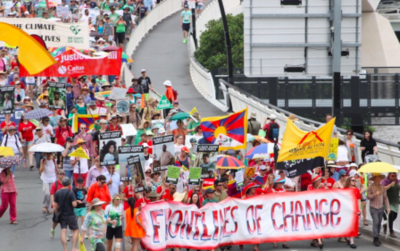 Melbourne, Australia, over 60,000 attended the march on 27 November 2015. And scores of great regional events. The Peoples Climate March in Paris was banned due to recent terrorist attacks. So people left their shoes instead. This page was last modified 02:46, 9 December 2015. This page has been accessed 23,866 times.